Last Friday, members came together for a team workout to celebrate four years ever since our 2nd home was built. Our 5.15pm and 6.15pm classes roared with the usual loud music, the all too familiar sound of barbells dropping, groans of pain but most apparent of all was the laughter and excitement of old and new members. We remember the days when we could count the athletes who came in each class with one hand. We now see classes that are jam packed with athletes who come in to work out and just have fun. As we celebrated our 4th birthday, we saw the culmination of 4 beautiful years of support, growth and love. We say over and over again the Jbox is nothing without it’s community. So we let our community do the talking for us. Razdey has been with us since the very beginning. He has stayed through the quiet and busy times, and the ups and downs. He first joined the community after being forced by a friend’s brother. When he realized he couldn’t avoid it any longer, he attended his first class and in Razdey’s own words, he “fell in love with it. It was one of my best decisions in life”. Razdey may feel empty without Jbox but Jbox is nothing without Razdey. If you come in the 5.15pm class, you will most likely meet the ever-bubbly Eileen. She joined us in 2016 when she first attended our bootcamp class. She then hopped on her first ever Opens and has been hooked ever since! We are also hooked on her loving personality. Eileen claims she was intimidated when she first started. She was afraid of the barbells and insist that she was a slow learner. We certainly didn’t think so as we watched her put in the hours in her training and practice. A short presentation was also prepared by our head coach, Nash, to remind us of who we are, why we are here and where we are going. Let’s recap! Feel free to grab some food or snacks because everybody had some during the presentation. We hope we have gotten you all up to date if you missed our anniversary celebration last Friday. We hope for more parties and reasons to celebrate in the near future, and we want you to be a part of it! We would like to thank everyone who have played a part in making these 4 amazing years possible and the greatest yet. 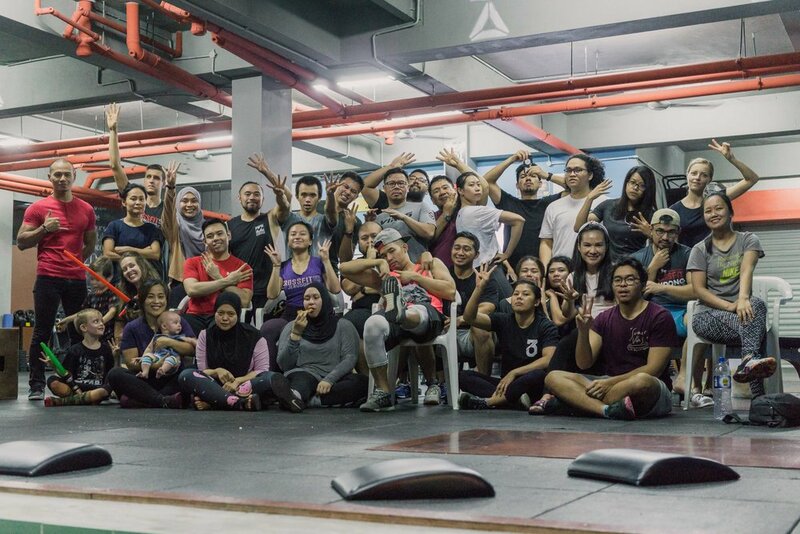 CrossFit 673 Jerudong wouldn’t be where it is if it wasn’t for you. Until next time, party people! See you all at the box!